The Whitney Museum will break ground downtown in 2011. 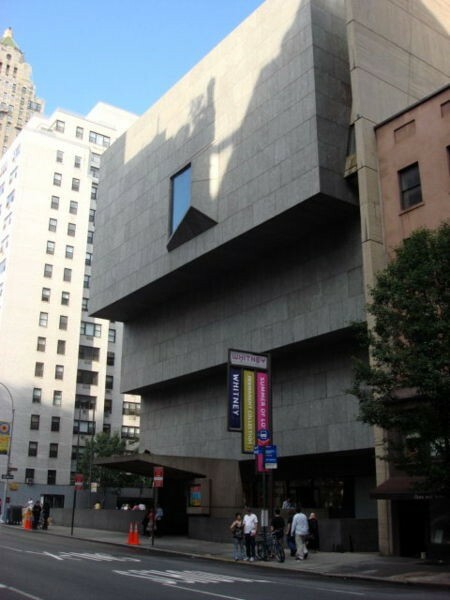 In an historic decision for the Whitney Museum of American Art, the Board of Trustees has voted unanimously to break ground on a new museum building in downtown Manhattan in May 2011. Located in the Meatpacking District on Gansevoort Street between West Street and the High Line, the six-floor, 195,000-square-foot building, designed by Pritzker Prize-winning architect Renzo Piano, will provide the Whitney with essential new space for its collection, exhibitions, and education and performing arts programs in one of New York’s most vibrant neighborhoods. The fundraising campaign for downtown, currently in its leadership phase, has already reached $372 million, which represents 63% of the $590 million goal. The total project budget is $680 million, which includes $230 million for the endowment, as well as construction and land costs. The vote to break ground on the site is the latest in a series of major project milestones. Last year, the Whitney entered into an agreement with the City of New York to purchase the site; the museum has completed the Uniform Land Use Review Procedure (ULURP) zoning process, and demolition of the site has begun. The building is projected to open to the public in 2015. The Board also has agreed that the Whitney will continue discussions with The Metropolitan Museum of Art regarding the potential use of the Whitney’s uptown building on Madison Avenue. The boards of both institutions have authorized the discussions to determine the scope and timing of this potential collaboration. The expansive third-floor special exhibition gallery will be approximately 18,000 square feet, making it the largest column-free museum gallery in New York City. Gallery space for ground-floor exhibitions (accessible free of charge), the permanent collection on the fourth and fifth floors, and for long-term projects on the top floor, will total approximately 32,000 square feet. Approximately 13,000 square feet of outdoor galleries situated on four levels of the building’s rooftops will offer dynamic exterior exhibition spaces. A dramatically cantilevered entrance along Gansevoort Street will shelter a public plaza for art that is destined to become a popular gathering space, created only steps away from the southern entrance to the High Line. The new building will engage the Whitney directly with the bustling community of artists, gallerists, students, educators, entrepreneurs, and residents in the Meatpacking District, Chelsea, and Greenwich Village, where the Museum was founded by Gertrude Vanderbilt Whitney in 1930. The building also will offer dedicated space for state-of-the-art classrooms and a seminar room; a research library; a large art-conservation area; a multi-use indoor/outdoor space for film, video and the performing arts; a 170-seat theater; and a study center (the classrooms, theater, and study center being firsts for the Whitney). Other amenities include a restaurant, a café, and a bookstore, which will contribute to the vibrant street life of the area. Mr. Piano’s design takes a strong and strikingly asymmetrical form—one that responds to the industrial character of the neighboring loft buildings and overhead railway while asserting a contemporary, sculptural presence. The upper stories of the building will stretch toward the Hudson River on the west side and step back gracefully from the elevated park of the High Line on the east side. Renzo Piano Building Workshop is designing the building in collaboration with Cooper, Robertson & Partners. The Meatpacking District is a twenty-square-block neighborhood on the far West Side of Manhattan. Surrounding the meatpacking plants just north of Gansevoort Street are some of New York’s most notable restaurants, bars, fashion boutiques, clubs, and hotels. The neighborhood is bordered to the north and east by Chelsea, renowned for its art galleries, cultural organizations, and educational institutions. To the south is the West Village and its nineteenth-century townhouses, charming streets, and unique shops. To the west is the Hudson River. The High Line is New York City’s newest and most unique public park. Located thirty feet above street level on a 1930s freight railway, the High Line runs from Gansevoort Street in the Meatpacking District to 34th Street in Clinton/Hell’s Kitchen. It features an integrated landscape combining meandering concrete pathways with naturalistic plantings. Section One, from Gansevoort Street to 20th Street, opened in June 2009. When all sections are complete, the park will be more than a mile long. is the preeminent institution devoted to twentieth-century and contemporary art of the United States, with a special focus on works by living artists. The Whitney’s collection, which comprises over 18,000 works by more than 2,800 artists, includes major works and materials from the estate of Edward Hopper, the largest public collection of works by Alexander Calder, as well as significant works by Jasper Johns, Donald Judd, Agnes Martin, Bruce Nauman, Georgia O'Keeffe, Claes Oldenburg and Coosje van Bruggen, Kiki Smith, and Andy Warhol, among other artists. With its history of exhibiting the most promising and influential American artists and provoking intense critical and public debate, the Whitney's signature show, the Biennial, has become the most important survey of the state of contemporary art in America today. Founded in 1930, the Whitney was first housed on West 8th Street. The Museum relocated in 1954 to West 54th Street and in 1966 inaugurated its present home, designed by Marcel Breuer, at 945 Madison Avenue.